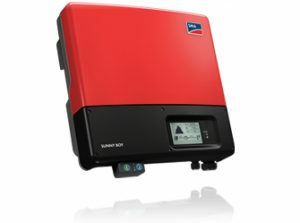 Solar PV Inverter test in accordance with ActewAGL’s service and installation rules and guidelines for embedded generator connection to ActewAGL’s low voltage (LV) network. We test Solar PV Inverters in accordance with Evoenergy’s service and installation rules and guidelines for embedded generator connection to Evoenergy’s low voltage (LV) network. This testing is required to ensure that the PV installation’s anti-islanding protection is operational in order to protect Evoenergy’s staff from the risk of exposure to electrical hazards when servicing Canberra’s power network. Once requested, our staff will attend your property within 14 days to undertake the test. The mandatory PV anti-islanding test declaration will be completed and submitted to Evoenergy and a further copy emailed to you for your records.